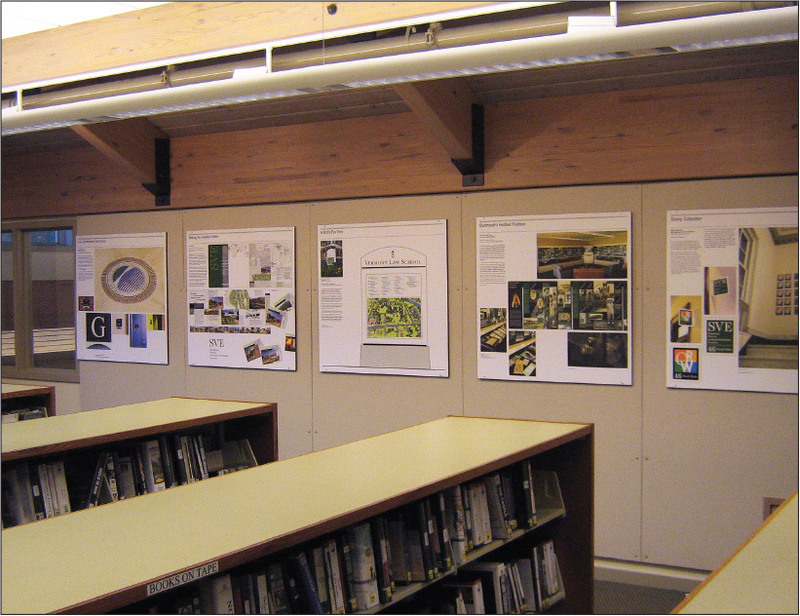 ​As a major part of its 2005 renovation and expansion, the Howe Library’s Ledyard Gallery serves both as a permanent repository for the Library’s media collection and as a gallery featuring an ongoing exhibition program. 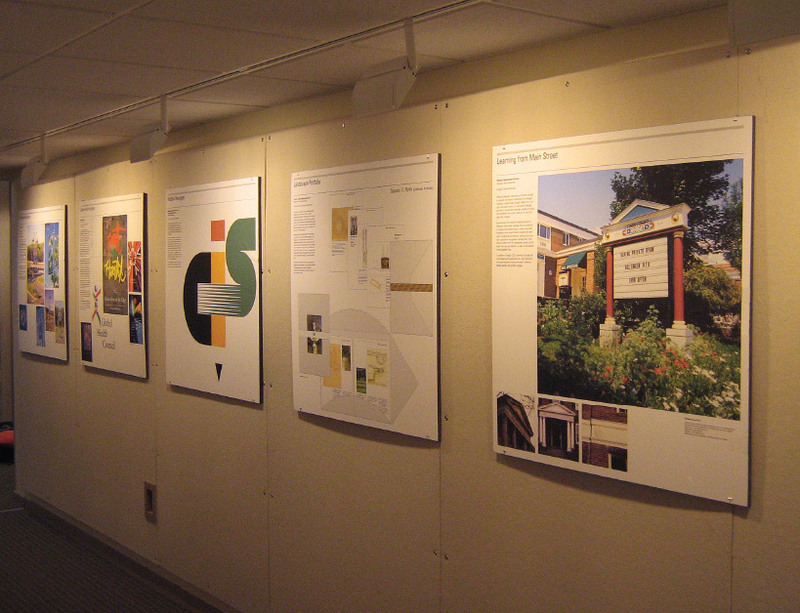 For CGD’s retrospective, Charles Gibson designed 20 three-foot panels with text and images drawn from a selection of 20-plus projects representing the multidisciplinary nature of his practice. 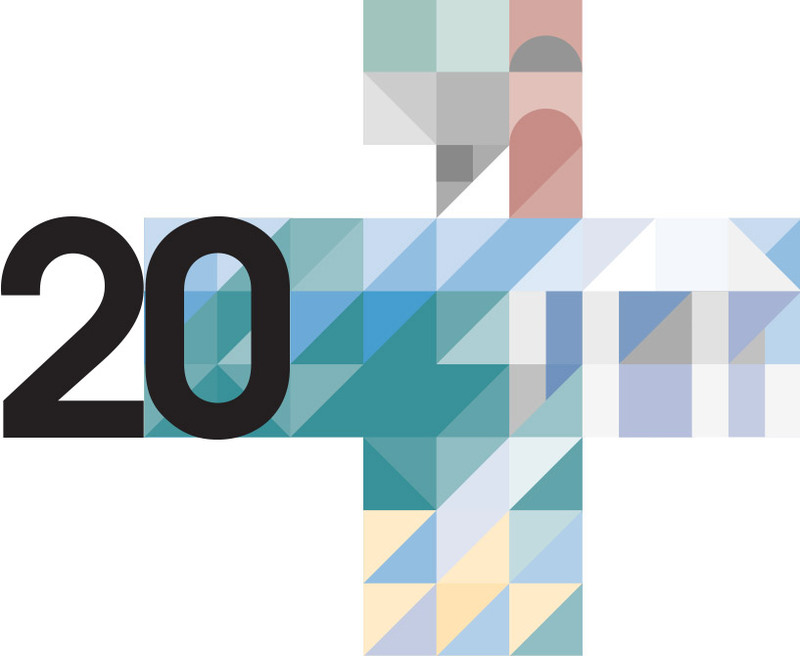 The logo shown here was created by the Designer as a unifying element in the invitations and posters. 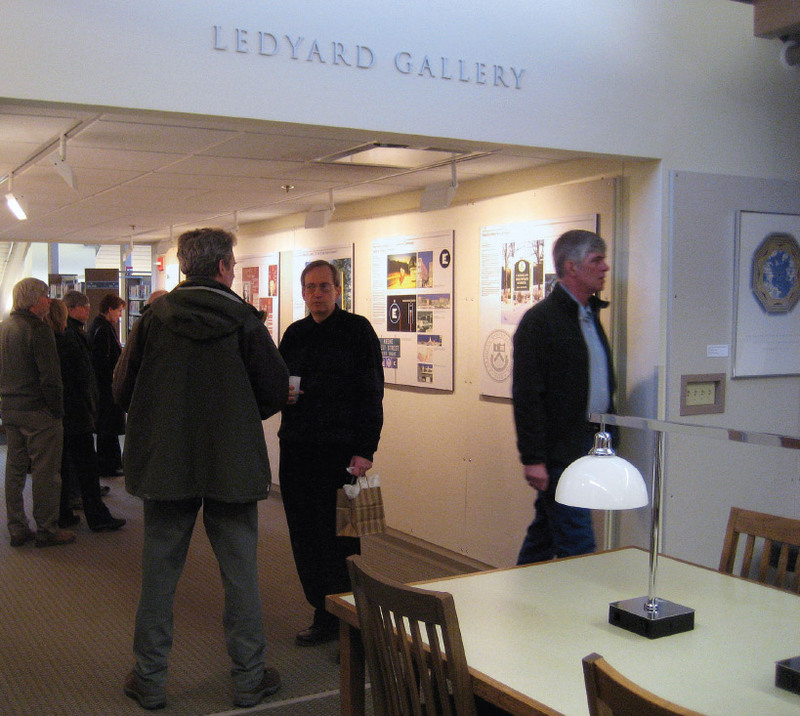 All the projects shown in the Ledyard exhibition are included in this web site.